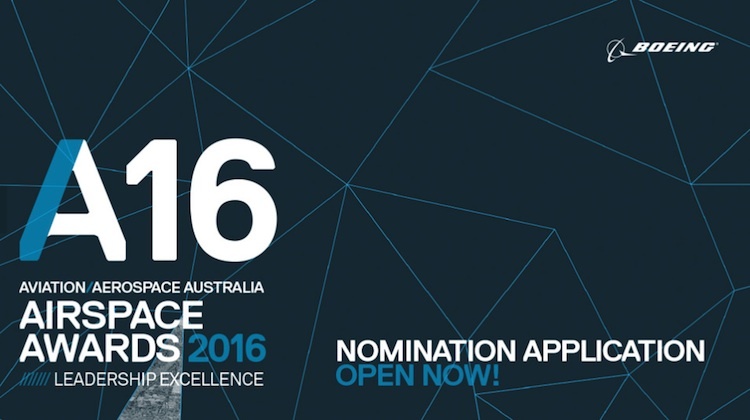 Nominations are open for the 2016 Aviation/Aerospace Australia leadership and excellence awards. There are six categories in the annual Airspace awards, comprising distinguished leadership, excellence in innovation, outstanding leadership in training, outstanding strategy for diversity, outstanding contribution to the aviation and aerospace sectors by a female and outstanding next generation professional by someone under the age of 35. Applications close February 12 2016. More details can be found on the Aviation/Aerospace Australia website. The awards will be presented at a dinner in Melbourne on April 14 2016. The recipient of the “Hoss” Beckman Memorial Scholarship, which pays for an aspiring female aviator or aerospace professional to attend the International Women in Aviation conference in Nashville in the United States in March 2016, will also be recognised at the awards dinner.